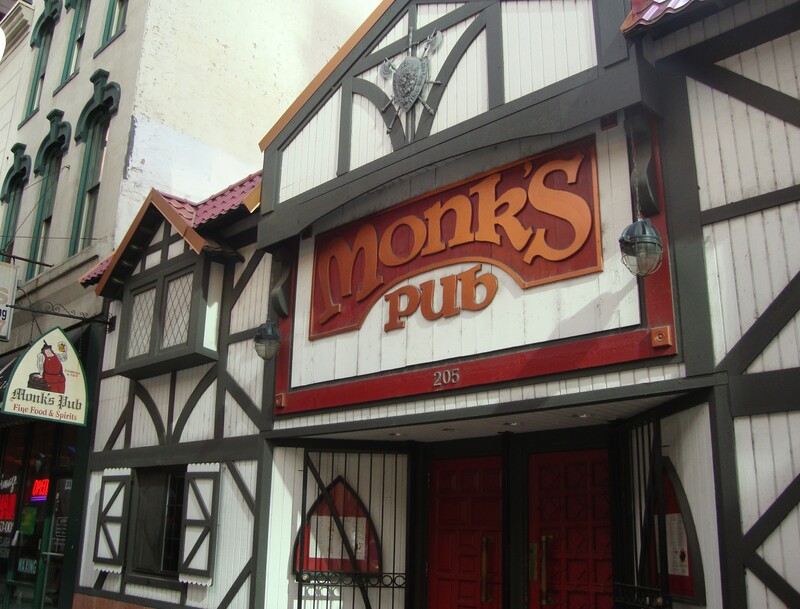 Monks Pub in Chicago established in 1969 is as old as myself and that was reason enough to head over to the Loop to seek it out for a pint and a bit of food. The other reason being to meet up with an old friend who was working downtown and was recommending the place. 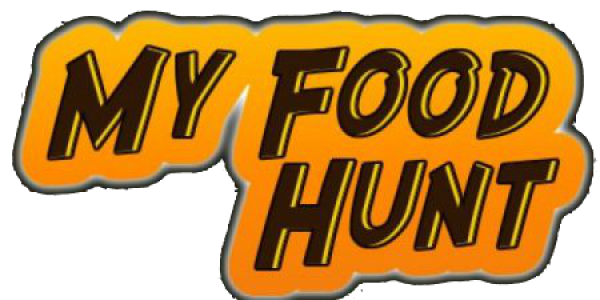 I was told that it had some of the best burgers in town, now that has to be a challenge in itself and certainly something worth checking out. The burger itself is described on their menu as a “Half-pound certified Angus beef patty flame-broiled & served on a brioche bun with lettuce, tomato & onion”. I love an Angus beef burger and I also love a brioche buns so this was all sounding really good straight away. I was floundering as I read down the burger section of the menu! There are no surprised for guessing the prime component of ‘The Egg’! 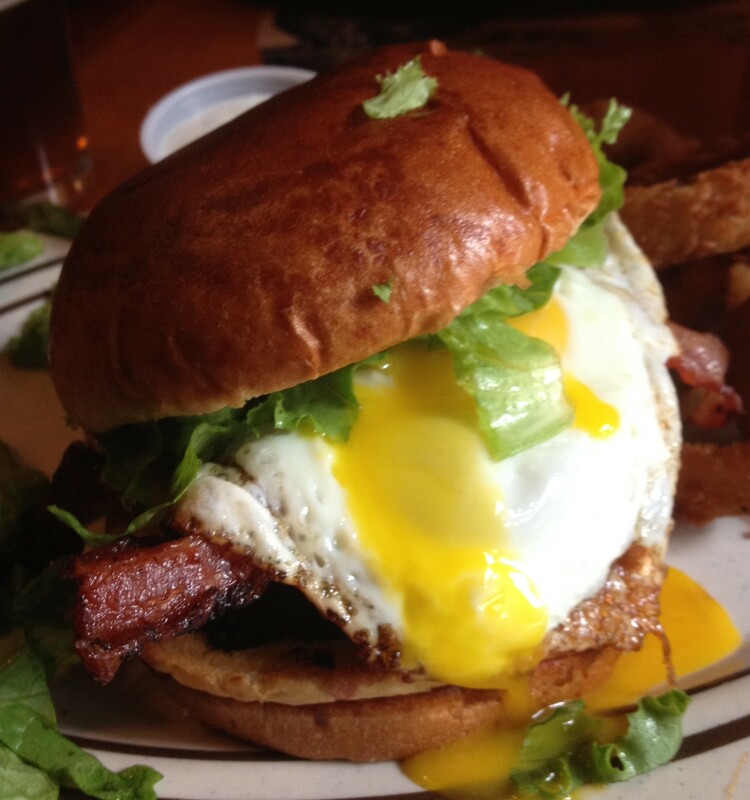 This is essentially a burger topped with ‘Bacon, cheddar cheese & a sunny-side up egg’. It cod have been called the bacon, cheese, and egg burger, but I have to a say that apart from the excellent meat pattie, the star of the show is that soft yolked fried egg that drapes itself over the top of the burger and that once bitten into released it’s yellow delight over the whole beast. 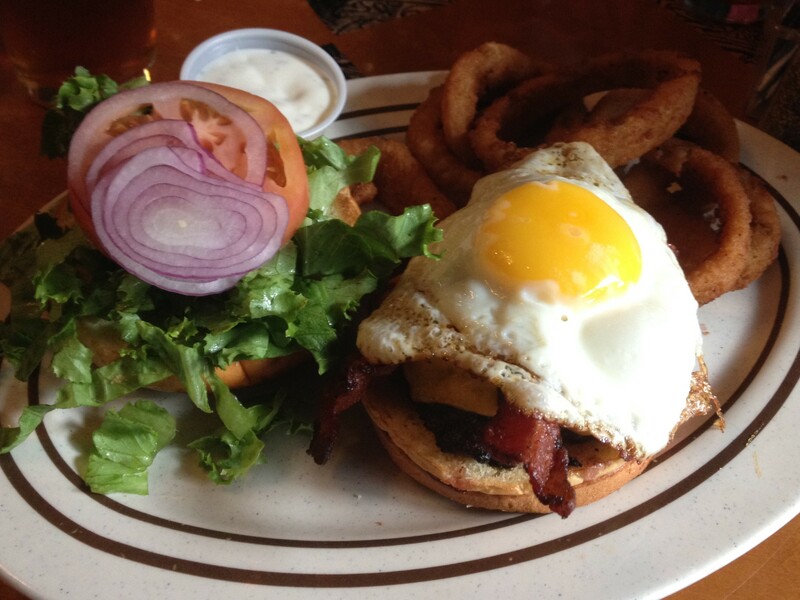 I love a fried egg on a burger, a love affair that started many moons ago when I first met this combination at Meatheads out in the burbs. It has been an ongoing somewhat guilty pleasure ever since. As well as that egg you were treated with a bountiful handful of crispy smoked bacon strips and a big slice of cheddar cheese. I like the way that they present the burger here at Monks by serving it as an open faced sandwich. This way you can keep as much of the simple green salad, red onion, and sliced tomato as you care to chomp on. For my part I was just keeping about half of the lettuce as I really wanted to get a much of that bacon, cheese, and egg in your mouth which each bite of the burger. This is a really good combination, hold on when I said good I meant exceptional combination. I fear that if I come back to dine here at Monks I will never actually get to try any of the other burger combinations as my heart will have been given to this one… Perhaps? perhaps? perhaps? Monks pub is located at 205 West Lake Street, kind of on the corner of Lake and Wells. It is alongside the track of the elevated railway which rattles by overhead and the nearest stops are probably at Washington and Wells, or at Clark and Lake. It is close enough to see the train but a 5 minute walk to catch one. To be honest after eating on of the burgers, you will probably need that walk!